Today we added our new ‘Baby’s First Christmas 2015’ card. 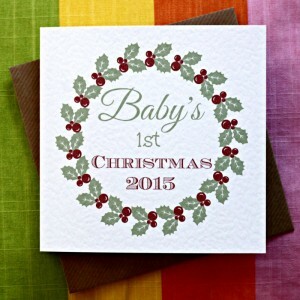 What better way to mark a new infant’s first Christmas than with a card, to be kept and cherished for years to come. Today, we’re launching a set of new Christmas cards. These are made especially for your children to give to their teachers, childminders and classroom assistants. 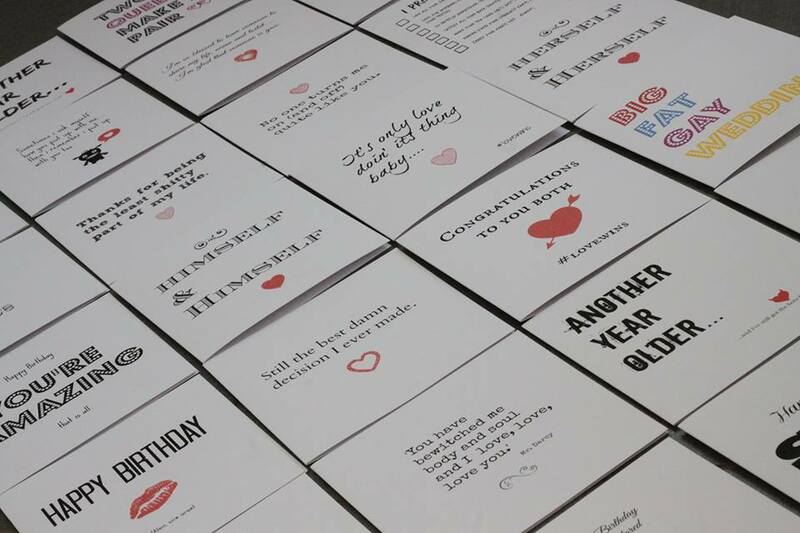 We just loaded this set of age specific birthday cards with the Northern Irish phrase “Keep ‘er lit”. It means keep going, for any of you folks from far off places. Available as 30, 40, 50 and 60 versions. Birthday Prosecco for a special age ? So many people like our Birthday Prosecco card – we made one for specific ages. Do you have anyone with a big birthday coming up ? We just added a review area to our Facebook page. If you’ve been shy about telling us what you think, please go on ahead and let us know. Announcing our Christmas Season – 3 for 2 offer. When you buy any two Christmas cards, the third one is free. This offer can’t be combined with our standard offer of 5 for 4. If we did, we’d be giving the things away ! Have a look at our latest lovely card. It’s a cheeky reference to the Mariah Carey song with a tag line about really wanting diamonds. And what girl would say no to diamonds ?